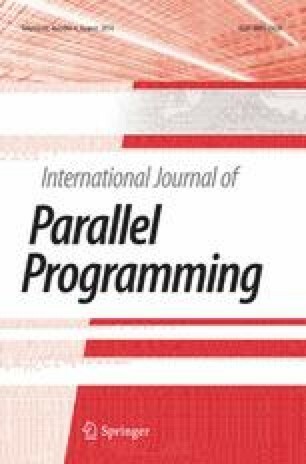 Skeletal parallel programming is a promising approach to easy parallel programming in which users can build parallel programs simply by combining parts of a given set of ready-made parallel computation patterns called skeletons. There is a trade-off for this easiness in the form of an efficiency problem caused by the compositional style of the programming. One solution to this problem is fusion transformation that optimizes naively composed skeleton programs by eliminating redundant intermediate data structures. Several parallel skeleton libraries have automatic fusion mechanisms. However, there have been no automatic fusion mechanisms proposed for variable-length list (VLL) skeletons, even though such skeletons are useful for practical problems. The main difficulty is that previous fusion mechanisms are not applicable to VLL skeletons, and so the fusion cannot be completed. In this paper, we propose a novel fusion mechanism for VLL skeletons that can achieve both an easy programming interface and complete fusion. The proposed mechanism has been implemented in our skeleton library, SkeTo, by using the expression templates technique, experimental results have shown that it is very effective. This work was partially supported by Japan Society for the Promotion of Science, Grant-in-Aid for Young Scientists (B) 24700025, and PaPDAS project supported by ANR (ANR-2010-INTB-0205-02) and JST (10102704). The authors would like to thank Liu Yu and Shigeyuki Sato for fruitful discussions in the early stages of this work.